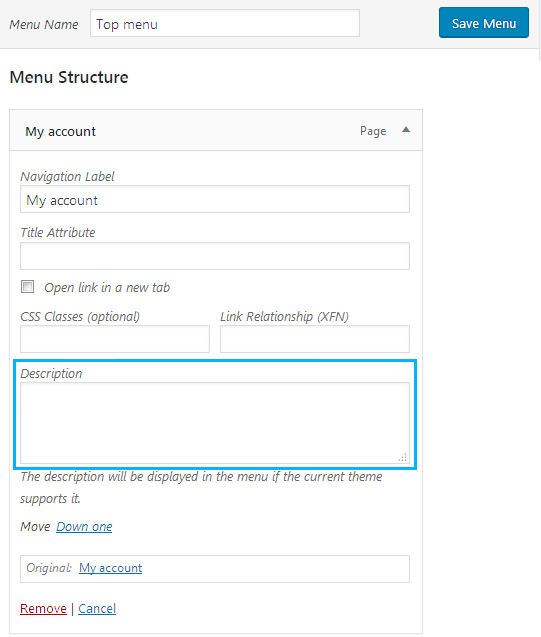 From this tutorial you’ll learn how to add menu item description from WordPress Dashboard. First, log in to WordPress Dashboard. Navigate to Appearance > Menus tab on the left. Select a menu you need to edit at the top and click on Select button. 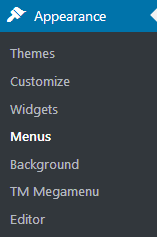 In the Menu Structure block on the right click on one of the menu items. You’ll see Description field. Here you can input your custom menu item description. In the case, you don’t have Description field, you need to enable it using Screen Options. Locate the Screen Options tab in the top right corner of the page and enable Description. You can learn more about menus screen options from How to Enable Advanced Menu Item Options tutorial. Click on Save Menu button to save the changes. Now you know how to add a description to menu items.